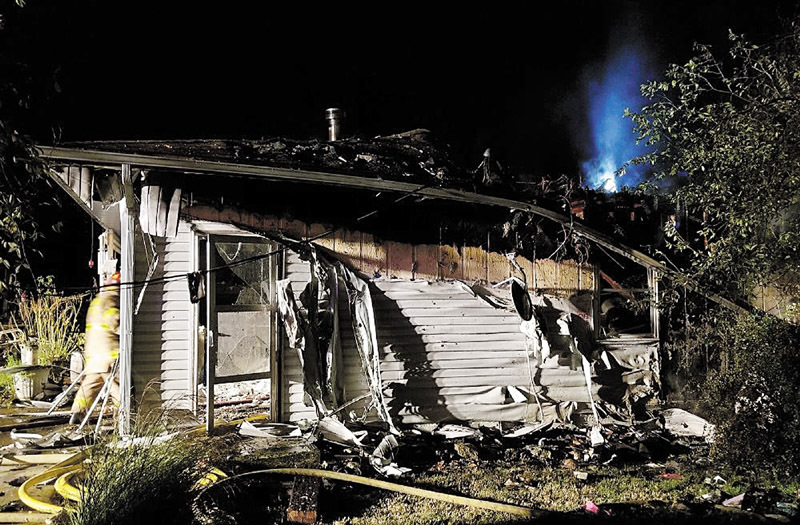 CAMDEN COUNTY – A house fire last Saturday night has been ruled accidental, according to the fire marshal for the Mid-County Fire Protection District (MCFPD). On October 27, at 7:59 p.m., MCFPD was dispatched to a reported residential structure fire at 649 Willow Creek Road. Firefighters arrived to find the rear quarter of the house and the garage well involved in fire and the fire had spread to the attic. Firefighters deployed several hose lines and were able to bring the fire under control in approximately 30 minutes. The garage area suffered extensive fire damage and the residence part of the house had smoke and water damage. The occupants arrived home and discovered the fire and were not in the residence at the time of the fire. A family dog was removed from the structure and was OK. The fire was investigated by the MCFPD Fire Marshal and was determined to be accidental, starting in the rear of the garage. MCFPD responded with an engine, two tankers and a squad and were assisted at the scene with an engine from the Osage Beach Fire Protection District. The Sunrise Beach Fire Protection District moved an engine to MCFPD Station number two for coverage. MCFPD was also assisted on scene by the Camden County Ambulance District, the Camden County Sheriff’s Department and Laclede Electric. All units cleared the scene at 10:00 p.m.